This storytelling concert is sure to be a rewarding outing if you can take it in. I've been listening to Jan's telling since i moved to Toronto in the early 90s and i'm never less than impressed. 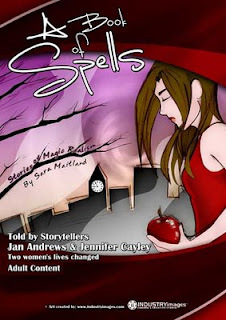 Jan has a knack for bringing to life old tales that yet have remarkable relevance in our modern world. I've always admired how she manages to convey the complex layers of meaning that exist in these tales deftly avoiding reducing a story to this or that means of interpretation (e.g. a psychological rendering). I have seen less of Jennifer's telling, but it has always been on a par with Jan's and they make great storytelling duo! I believe that one of the gifts of stories is the way in which they structure sets of truths into one coherent narrative despite that some of the truths are contradictory. It is ths diversity of meaning that exists within stories that make them remarkably powerful tools for preserving knowledge (and wisdom) across generations and millenia and cultures. Apropos of my previous posts on trickster pedagogy, the multivalent meaning within stories make them a primary means of practicing trickster pedagogy. Jan and Jennifer convey tales with all this wonderful complexity. They are both great tellers and, in the tradition of storytellers across the centuries, great teachers, as well.